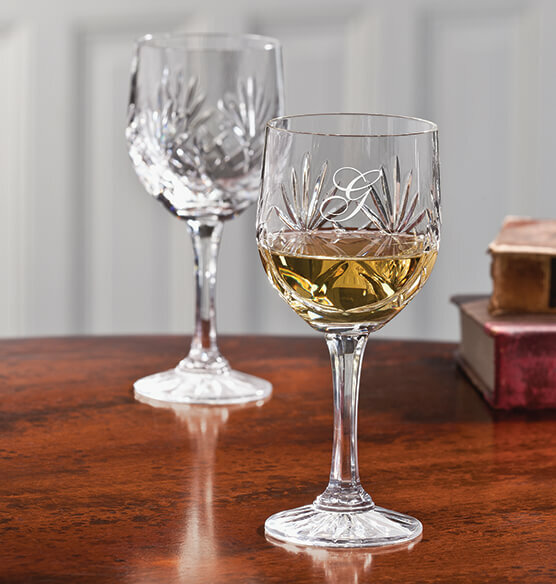 Celebrate anniversaries, birthdays and special occasions with this set of two personalized European Crystal Wine Glasses. 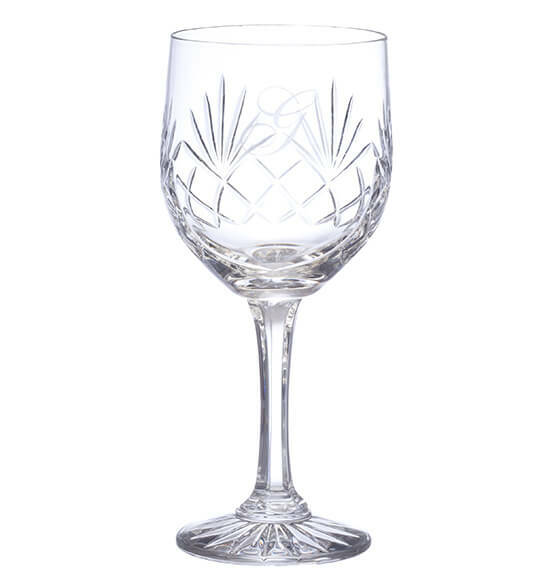 Handcrafted in Poland by artisans, these wine glasses feature crisscross Medallion and wheat cut accents. Personalize glassware with a single initial each for sheer elegance. Each glass holds 8 oz.